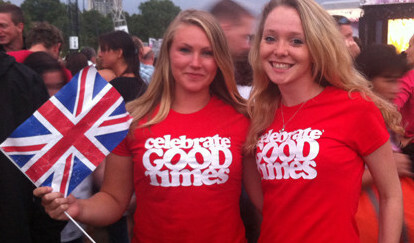 Sunshine, celebrations and sensational music combined to mark the opening night of the much anticipated London 2012 Olympic Games. 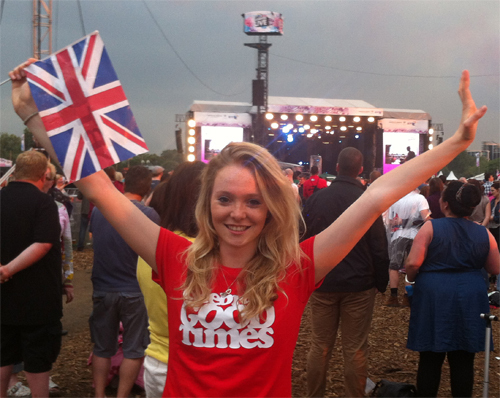 Set against the backdrop of a sun-kissed Hyde Park, picnic blankets and union jacks were much in evidence, Londoners could not have asked for a better musical opening to the Olympic Games. With the line-up including something for everyone, Paolo Nutini, Duran Duran, The Stereophonics and Snow Patrol took to the stage to entertain a very excited crowd. A much loved Paolo got the concert underway with his old favourites ‘Jenny Don’t Be Hasty’ and ‘New Shoes’ as well as his newer numbers. Representing England, Duran Duran appealing more to the over thirties in the audience. Opening with ‘Planet Earth’ and ‘A View To A Kill’, it was most definitely ‘Rio’ that got the crowd going. 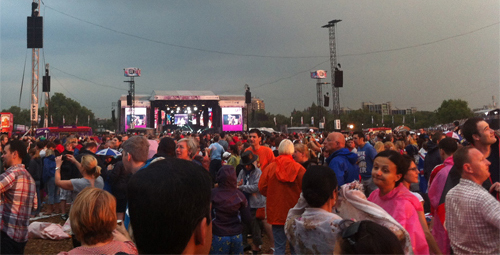 The crowd were then treated to the breathtaking Olympic Ceremony shown live on widescreens. 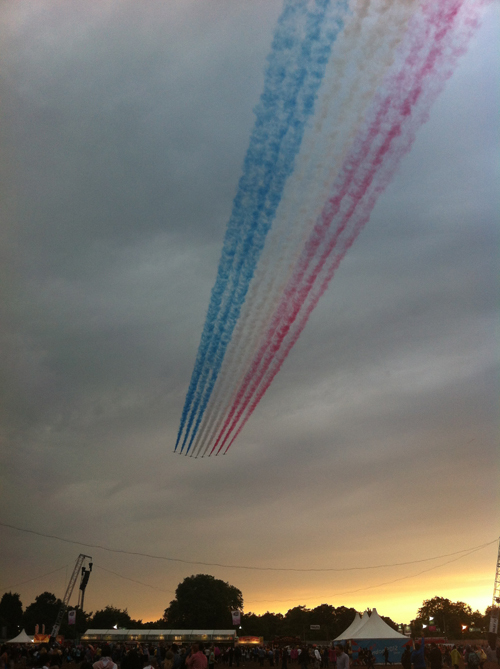 The awe inspiring opening ceremony most definitely made everyone proud to be British. Opening with spectacular scenes from British history the crowd never knew what was coming next and at times were stunned to silence. Each section surpassed what had come before including a hilariously popular Mr Bean sketch, the surprise of The Queen parachuting from a helicopter and David Beckham on a boat speeding along the Thames. The breadth of imagination that had gone into planning it was second to none. After the excitement and energy of the opening ceremony, some might say that the Sterephonics had an uphill struggle and somewhat mellowed the mood. They had some good sing-along anthems, finishing the night off with Dakota, but you got the feeling that the crowd’s attention was still in awe of the ceremony itself. The evening was brought to a close when Snow Patrol took to the stage with ‘Take Back the City’, bringing back the exhilarating atmosphere. Playing all the favourites ‘Run’, ‘Chocolate’ and ‘Chasing Cars’, couples drew close to each other to enjoy the fact that the London 2012 Games were now officially open. Friday 27th July was an evening that was going to be special no matter what but the fusion of music and superlative entertainment made sure it was evening that would not be forgotten in a hurry.